Russian phone company Yota plans to unveil its next dual-screen smartphone on December 3rd. 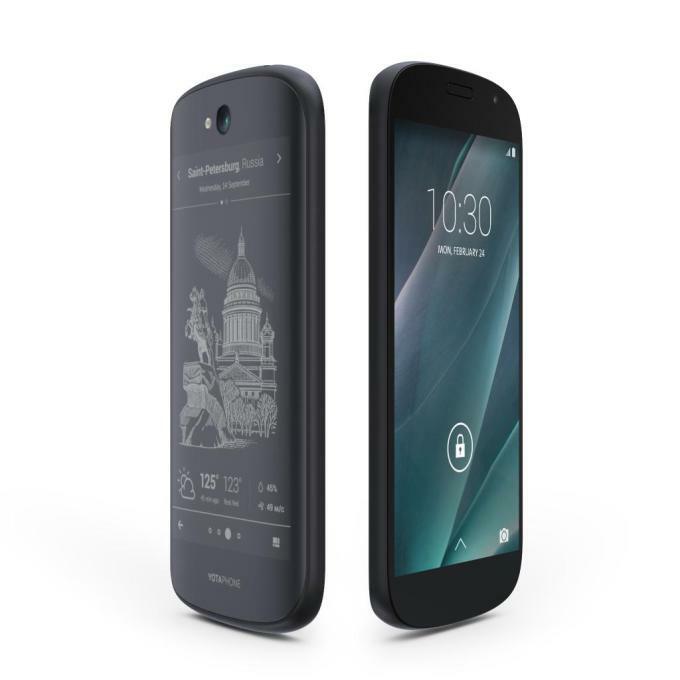 Like last year’s Yotaphone, the new Yotaphone 2 appears to have a color screen on one side and an ePaper display on the other. The original YotaPhone made a big impression by offering an always-on epaper display on the back, complementing the traditional LCD panel on the front of the handset. The newest version looks largely the same, though the phone’s overall design is rounded and brings with it a more modern look. The prototype had 2GB of RAM, a Qualcomm Snapdragon 800 processor, 802.11ac WiFi, and Bluetooth 4.0. It’s possible some of those features may be different now: Yota started showing its prototype in February so there’s been plenty of time to make changes. Since ePaper displays tend to use a lot less power than color screens, a device like the Yotaphone 2 could offer long battery life if you keep the color display off while reading eBooks or other text-heavy content. The original YotaPhone retailed for about $295 (RUB 13990) and we hope the new one wouldn’t be far from this price point.